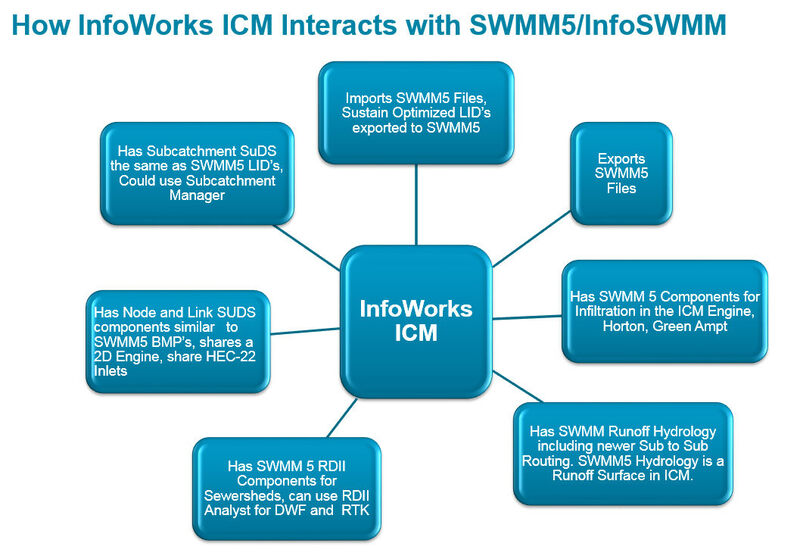 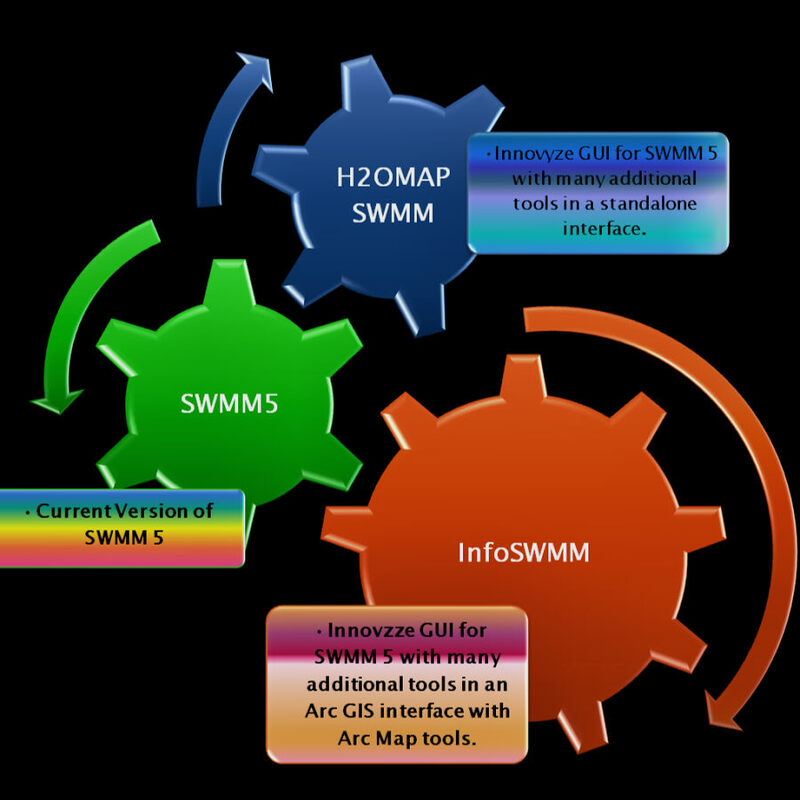 The relationship between ICM , ICM SE , InfoSWMM , InfoSewer , H2OMap Sewer , and SWMM5 . 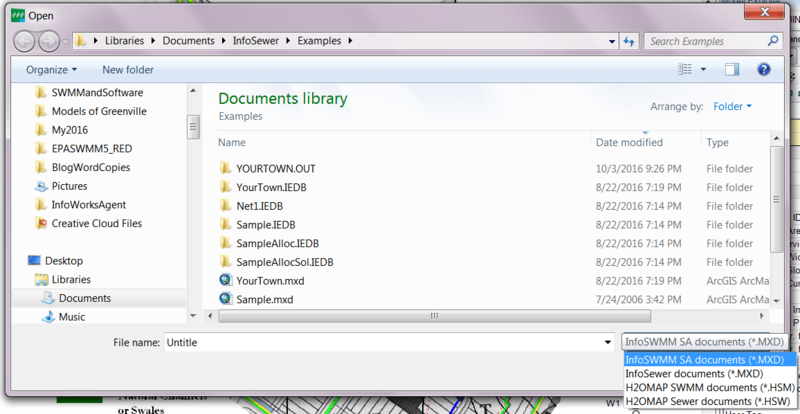 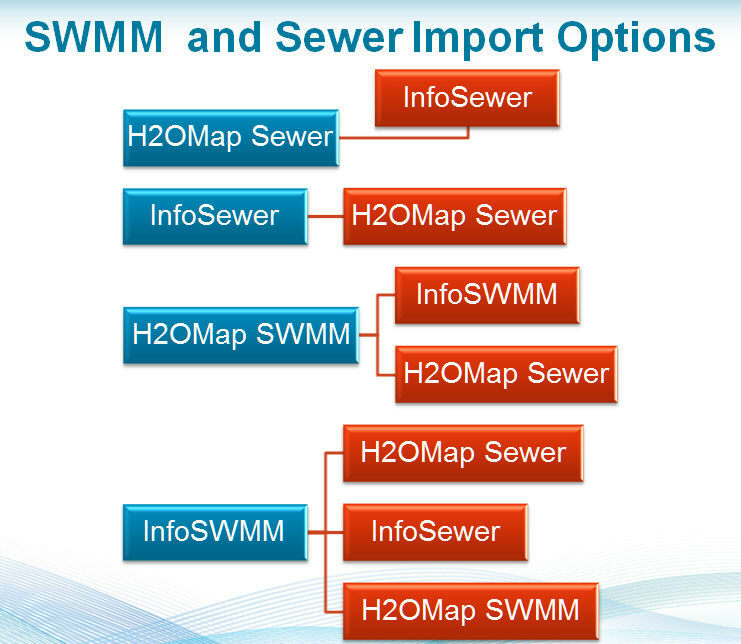 InfoSWMM can import H2OMap SWMM , SWMM5 , H2OMap Sewer , InfoSewer can export to ICM_SE or ICM using the SWMM5 data format. 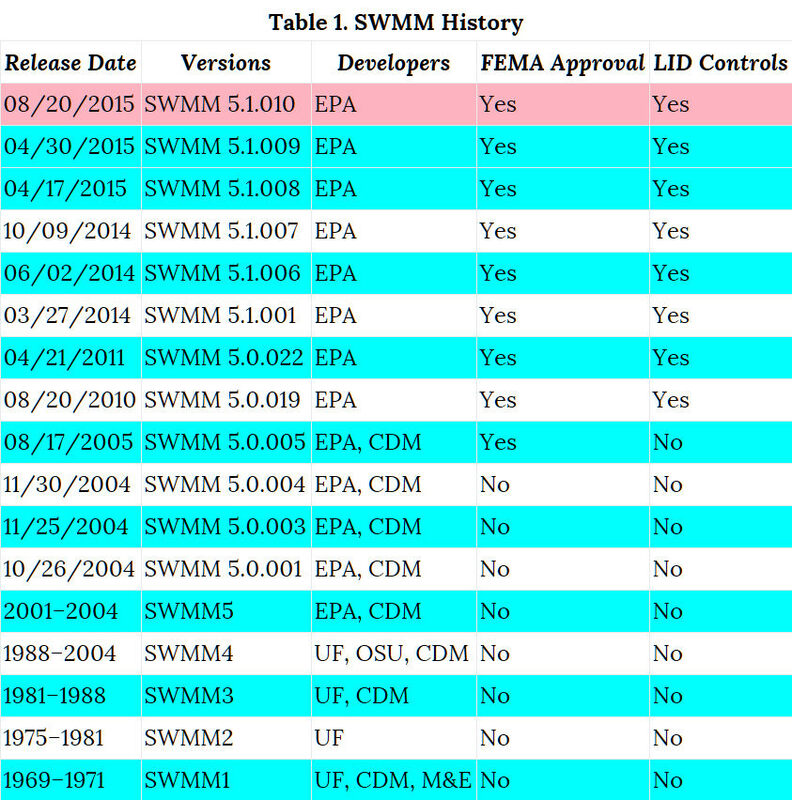 Innovyze products that either run the current SWMM5 engine or imports and exports the current SWMM5 data files are (click to see the associated product page in each row in the following table for each product or go to www.innovyze.com for all Innovyze products.